A small group of psychotherapists has been meeting here, at the British Psychotherapy Foundation, to discuss clinical work and to read papers about issues that can arise in therapy with individuals whose sexual orientation is other than heterosexual, or whose gender expression is atypical. This group has offered an opportunity for its members to listen to each other’s - often divergent - views, to try to process clinical experiences and to examine personal reactions. This discussion has taken place against a backdrop of the contemporary media’s excitable discussions about gender diversity that often have an adversarial character and inevitably have an impact on our members’ views that becomes a dominant influence where first-hand clinical experience is lacking. Exploring Gender Diversity conference on 16th March represents an attempt to ground the discussion about gender expression by introducing informed input from professionals who have long-standing experience of working in the field of gender diversity. In putting on this event we are fulfilling a commitment that our professional organisations have made to providing training of this kind for their members. For a number of years now a coalition of eighteen organisations that includes all the major psychological, psychotherapeutic and counselling bodies in the UK has been working to produce a document that warns the public of the dangers of Conversion Therapy, or Reparative Therapy, as it is sometimes called. The BPC, the UKCP, the BACP and the BPS are all among the list of signatories. Conversion Therapy is a treatment that is intended to “convert” the sexual or gender identity of an individual who is not heterosexual or questions their natal gender, to return them to what the therapist claims is the “right” or “natural” path. It is underpinned by the strong belief of the therapist that a gay, lesbian or bisexual orientation, or any gender questioning, is deviant, and the result of some kind of trauma that requires treatment. It has been shown that this kind of intervention can have a profoundly disturbing effect, and the practice of Conversion Therapy is now considered unethical in many settings. On 4th July 2018, the final version of the Memorandum of Understanding about the dangers of Conversion Therapy was launched at the House of Commons by the MP, Ben Bradshaw. This launch took place alongside a report from the Government Equality Office, which had been commissioned as part of an action plan to improve the lives of lesbian, gay, bisexual and transgender people. The survey that the government conducted found that 5% of the respondents had been offered conversion therapy, but had refused it, while a further 2% had undergone this treatment. 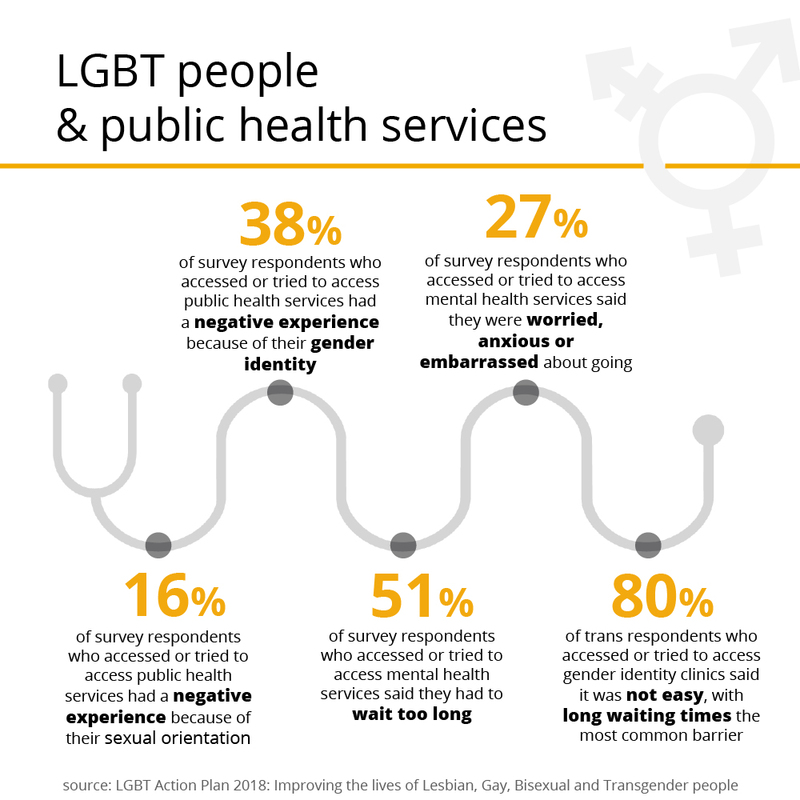 While conversion therapy tends to be practised outside the professional field, these figures show that it is important that all therapists be aware of the kind of pressure that LGBT people often face. The MoU concluded that “education and training remain essential in order for practitioners to be able to work competently with LGBT people of all ages and provide them with a safe and respectful environment in which they can be who they are without fear”. The conference is designed to be such an event, by focusing on a field which raises new questions for many therapists. All psychotherapists have encountered individuals who express their conflicts and unhappiness in bodily ways, such as physical self-harm or eating disorders. It therefore requires mental work to accept the perspective of a person who experiences their gendered body as profoundly wrong, and who seeks relief in surgery which would allow them to live as the other gender. The temptation is to assume that this gender dysphoria indicates profound disturbance, which should be read as a symptom to be addressed in therapy, rather than acted upon. Therapists’ anxiety can be particularly aroused by the cases of young people, some of whom do, indeed express conflict through gender variance which is later comes to be understood in other ways, such as an inclination towards a gay or lesbian sexual orientation. However, research is beginning to show that transgender people who have undergone gender reassignment have in many cases found relief. It is not regarded as a magical solution, but rather a route to living in a state that is more congruent with their bodily experience. This is a relatively new area for psychotherapists, and ways of addressing the phenomenon of gender fluidity are rapidly changing. We hope that this conference will provide an opportunity for our colleagues to ask questions and explore this area, in discussion with professionals who have considerable experience of working with individuals who are suffering from gender dysphoria or are themselves identified as trans or gender variant. Juliet Newbigin is a psychoanalytic psychotherapist, senior member of bpf and currently chair of the BPC’s Advisory Group on Sexual and Gender Diversity.